Reinstatement Of Deregistered Companies: Are They (And Directors) Liable For Their Actions During Deregistration? Technology just never stops. In recent years, there has been a growing trend towards online accounting in first world countries. It is now available locally but so far has been used mainly by technologically savvy people. Online accounting offers considerable benefits particularly to Small and Medium Enterprises (SMEs) who can now get control of this important part of their business. Online accounting software seamlessly integrates many of your daily routines into your accounting system. Consider a credit note – a clerk investigates a claim and once satisfied sends it to the sales manager to authorise. He can authorise it online, your customer is emailed the credit note and your accounting records – sales, stock and debtors – are automatically updated. Let’s say the business owner is waiting for a flight at O.R. Tambo airport. With his laptop, he can run a month-to-date profit and loss report, see how the margin is holding up and run reports he has designed. For example, a sales person may be on a non-performance warning and the owner can design and run a report on this person’s sales to date. Instead of waiting three to four weeks for the accountant to run month end reports, they are now instantly available. The quicker you get data, the quicker you can react. A debtor may be slow paying but finding out about this four weeks after month end could be the difference between collecting the money or writing off a bad debt. It’s relatively simple to use. Staff from owners to clerks can be quickly trained to use the system. This is empowering as you can effectively control this part of the business instead of being overly reliant on your in-house accountant. Online accounting is getting increasingly cost effective. In addition you will need less bookkeeping staff which can be a considerable saving. As your in-house accountant becomes less needed for run-of-the-mill functions, you can now get more expert advice on how to interpret your accounting data. You can also obtain strategic input such as should I outsource distribution, what is the real cost of my sales force etc. Effectively, your business can move up to another level. The online accounting landscape is starting to develop in South Africa and the people who get in early will have a competitive advantage. Speak to your external accountant as to how you can investigate the benefits of online accounting. In terms of the current Companies Act, companies and CCs can be deregistered for administrative reasons (in the vast majority of cases for not lodging annual returns and paying annual duty) and can apply to be reinstated. An anomaly exists in the Act in that it is not clear if reinstatement means that the decisions and actions taken by the company, while it was deregistered, are legally binding. This leaves the business and third parties unsure if the company and its directors are accountable for their decisions and activities after deregistration. The situation is important as 750,000 businesses were deregistered in 2010 by the CIPC (Companies and Intellectual Property Commission) for failure to pay annual duty. Many of these entities are unaware they have been deregistered and have continued trading. In the old Companies Act, there was no doubt that retrospectivity applied – the business was accountable for its actions whilst it was deregistered. Various High Courts have differed in their interpretation of the current Companies Act which has increased uncertainty. However, the Supreme Court of Appeal (SCA) has now definitively ruled on this. What did the Supreme Court of Appeal say? All of its assets are forfeited to the State. 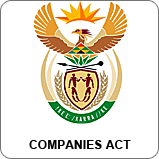 The current Companies Act allows for deregistered entities to be reinstated. This, ruled the SCA, is retrospective which means that a reinstated company gets its assets back, it effectively never stopped trading, and its activities in this period are valid and binding. In this case company A won an arbitration award against company B after B had been deregistered. The High Court ruled that the reinstatement of B was not automatically retrospective. Company A appealed to the SCA which upheld the appeal. There is also a section in the current Companies Act which allows third parties prejudiced by a company’s reinstatement to seek relief from the courts. When the CIPC decides to reinstate a company, the application must be advertised to the public. Prejudiced parties can make representation against reinstatement or for any other order “just and equitable in the circumstances” (note the company itself could seek relief if it is prejudiced by reinstatement). The SCA found that a prejudiced party can appeal to the courts for relief even after a company is reinstated, thus giving additional avenues to prejudiced third parties. The situation has now been clarified and will be a relief to all entities that could have suffered losses whilst trading with an entity that had been deregistered. Ask your accountant to check that none of your major suppliers, customers and other important stakeholders have been deregistered. We are all aware how consumer debt has risen in the past several years, especially for the lower paid and poorer sections of the community. As employers, you no doubt have staff who seem to be perennially in debt. A recent amendment to the National Credit Act has outlawed attempts by debt collectors to trade in or attempt to get consumers to pay prescribed debt. The creditor has not summonsed the debtor. What has been happening is that debt collectors have been “harassing” consumers for prescribed debt. This includes not just the original amount owed but also interest due and the debt collector’s fees. A debtor is entitled to raise prescription as a defence (if the debt has prescribed), in which case, the debt collector is not entitled to pursue the matter. However, until now the onus has been on the debtor to know his or her rights. The trend of debtors being “harassed” has been exacerbated by companies selling their debt claims to other collection agencies who have been extremely aggressive in their collection practices. No longer must debtors raise the defence of prescription themselves. It is now illegal for debt collection entities to collect prescribed debt. It is also prohibited to sell prescribed debts to other debt collection agencies. In addition, debt collection firms are obliged to inform debtors if they sell their existing debts. This will prevent many of the unfair practices of debt collection businesses. Employers - ensure your employees are aware of changes to the National Credit Act and understand that they do not have to pay prescribed debt. The new B-BBEE Codes of Good Practice are set to become effective on 1 May. For exempted micro-entities (EMEs) there is some good news as the threshold for EMEs has been raised from less than R5 million annual turnover to less than R10 million. EMEs will still automatically get level 4 status. For qualifying small enterprises (QSEs) – turnover of R10 million to below R50 million - there will be substantial additional workload and it will be increasingly difficult to maintain a good B-BBEE rating which could threaten their sustainability. This is disappointing coming so soon after government signalled its intention to assist these businesses with the creation of a Department of Small Business Development. As these codes are voluntary, it is a good time for QSEs to re-evaluate their business as substantial extra work and possible restructuring will be required if they wish to continue obtaining government/public entity work or licences. For EMEs there is little change with the new scorecard. With QSEs the position is quite different. Under the previous legislation they were required to comply with four of the seven elements. It was thus relatively easy to get a good B-BBEE rating. Now they have to comply with all five and failure to get a 40% compliance with two of the three priority elements (ownership is mandatory and they can opt for ESD or Skills Development as the second element) will drop a QSE one level in its scorecard rating. Companies with turnovers of R50 million and above will have to comply with all elements and failure to achieve 40% compliance in all three priority elements means they stand to drop by two levels. As the criteria in the new scorecard have been considerably widened, it will be more difficult to get points on the new scorecard. In addition, the points under the old system which gave an entity a level 4 rating will now mean a rating of between 5 and 7. The bar has been raised for getting a good B-BBEE rating. At the heart of the new amendments is ownership. Thus a QSE or EME will automatically get a level 2 rating if 51% of the business is black owned and a level 1 rating if the black ownership is 100%. In addition, these businesses will not need accredited consultants to give them a rating – a sworn affidavit will suffice. 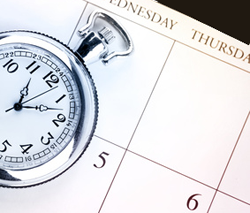 Your Employer Annual Reconciliation (EMP501) return on employee earnings is due on Friday 29 May.